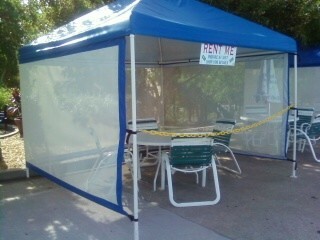 Our spacious 10’x10′ cabanas rent for $65 for the day and include a table and four chairs plus a free locker and one single tube. There are ten locations on the wavepool deck. Choose your favorite!